Topped without a single touch! Have you had trouble finding time to fully wax your car? 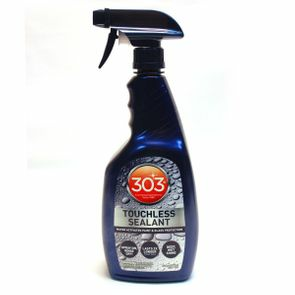 303 Touchless Sealant will save you hours! This Si02 formula is a completely TOUCHLESS quicker alternative to waxing your vehicle. Simply spray on, and rinse off � it�s that easy! It only takes minutes to get that same water beading protection you get from a full wax, saving you hours spent in the garage. It�s also great for those looking to prolong the time in between waxes, or ceramic coatings. Safe for clear coat, gel coat, fiberglass, plastics, windshields and wheels too! Wash your car out of direct sunlight while surface is cool. While surface is still wet and out of direct sunlight, spray a small amount of product evenly across surface, treating one section of vehicle at a time. Repeat steps on all sections of vehicle, and then dry thoroughly with a waffle weave drying towel or microfiber towel. Make sure to rinse product off each section of vehicle thoroughly immediately after applying product � do not let dry on surface, as water spots may occur. Water spots and streaks can also occur if too much product is used, and not rinsed off thoroughly. If water spots occur, rinse surface thoroughly again and dry. 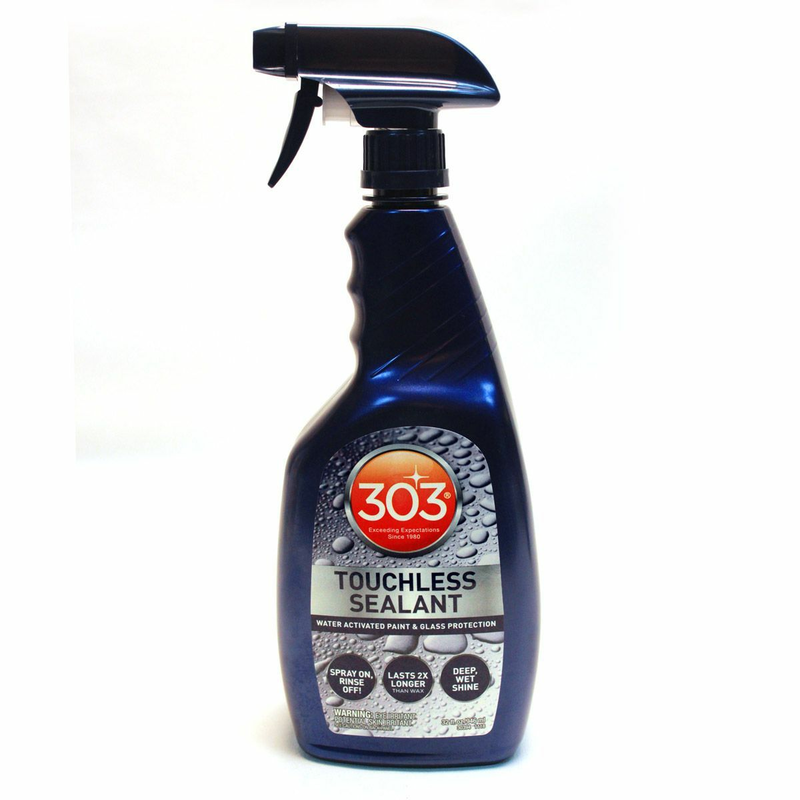 303 Multi-Surface Cleaner 16 oz. 303 Aerospace Protectant 16oz. Buy 3 - GET ONE FREE!